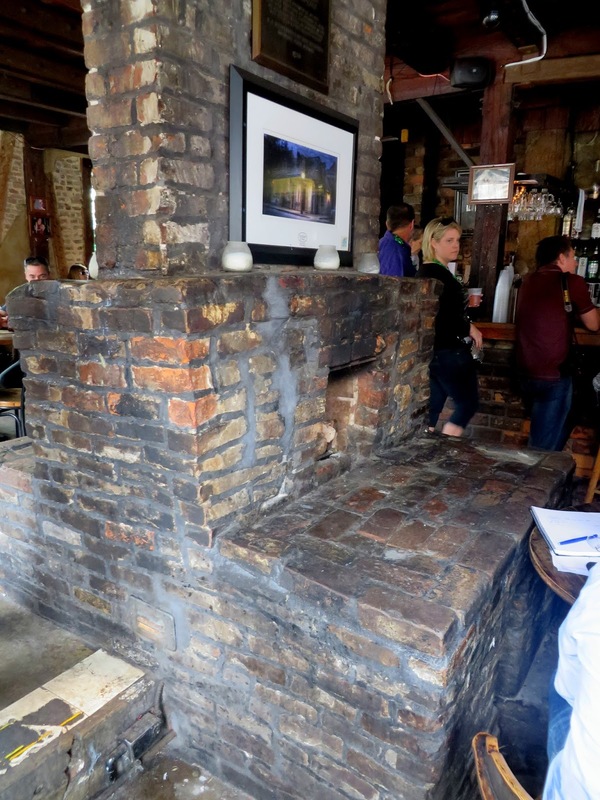 Lafitte's Blacksmith Shop is a charming candlelit French Colonial cottage that basically caps the northeast end of the party zone on Bourbon Street. 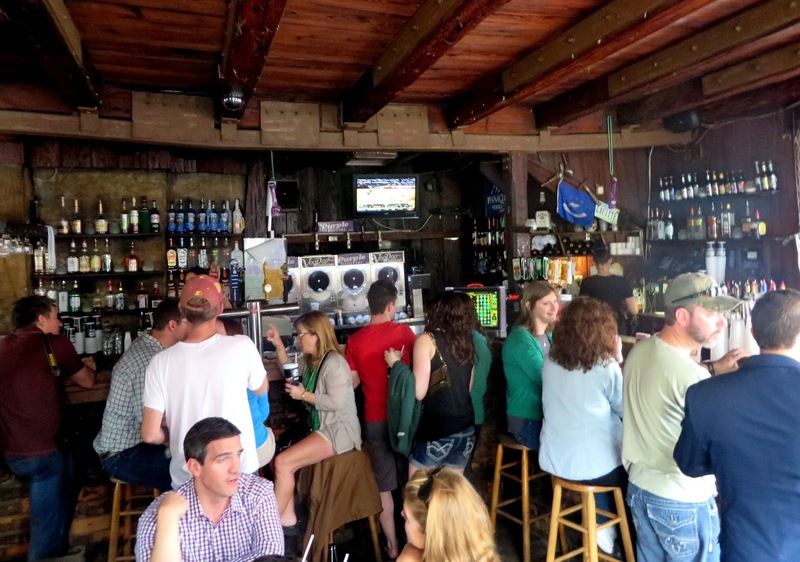 It is very common to hear that Laffitte's is "the oldest bar in the country," the "oldest continually operating bar in the country," the "oldest building hosting a bar," and once the home or business of pirate/adventurers Jean and Pierre Laffitte. Each of the first three claims is manifestly untrue (I recommend Jay Brooks' page for a pretty good assessment of oldest bars in the U.S.) and the latter claim is highly dubious. But the building is very old - variously reported as built between 1722 and 1732 or between 1772 and 1791 (I lean toward the latter since this is the range favored by the History Department of the University of New Orleans). 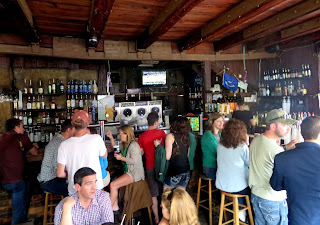 It has certainly not been operating strictly as bar since that time, and appears to have hosted a variety of businesses from a dentist's office to a combination cobbler and oyster shop (nolamyths). A more likely claim to being the oldest continually operating bar in the city is made the Old Absinthe House, which appears to have been officially serving liquor fairly continuously (with a substantial exception for prohibition) since the 1880s. 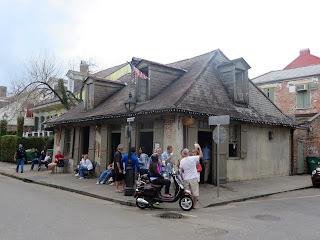 However, Lafitte's may well have started as a bar in the 18th century, and it appears to have become a cafe with a barroom permit in 1933 (nolamyths), the year federal prohibition ended. 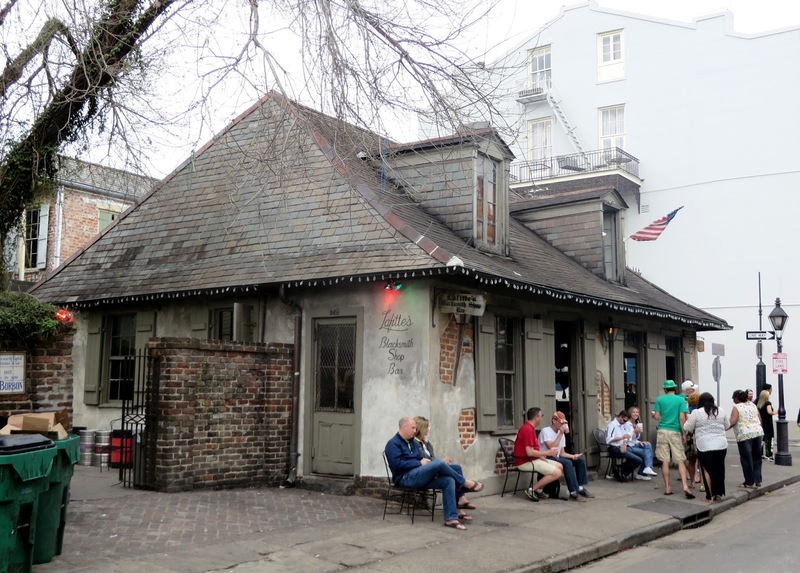 It was established then as "Cafe Lafitte" by Mary Collins, Harold Bartell, and Thomas Caplinger, and over the next two decades attracted some famous clientele: "The cafe became a popular night spot that attracted a bohemian clientele, including the gay community and celebrities like Noël Coward and Tennessee Williams. However, Caplinger never held clear title to the property and the building was sold in 1953. He soon opened a second cafe at the other end of the same block named Café Lafitte in Exile, which maintains that it is the oldest gay bar in the U.S." (wikipedia). Currently the bar is popular with both locals and tourists, still lit virtually entirely by candles, and will serve anything from a nice Sazerac cocktail to one of those horrifically candy-flavored vodka and everclear monstrosities favored by certain tourists aiming to lose their inhibitions.